Yesterday marked 20 years since The Notorious B.I.G. died. The tributes poured in and some are still yet to come, like The Brooklyn Nets’ big tribute planned for this Sunday (3/12). 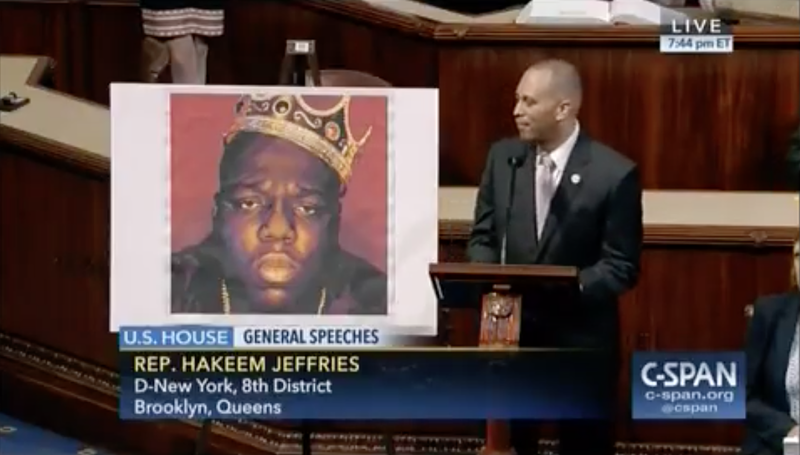 One tribute came from Brooklyn congressman Hakeem Jeffries, who recited Biggie lyrics on the House floor yesterday, as the NY Post points out.